Military Challenge Coin - Max-Coin CO., LTD.
Military challenge coin is a treasured and representation of the military minted on the coin. 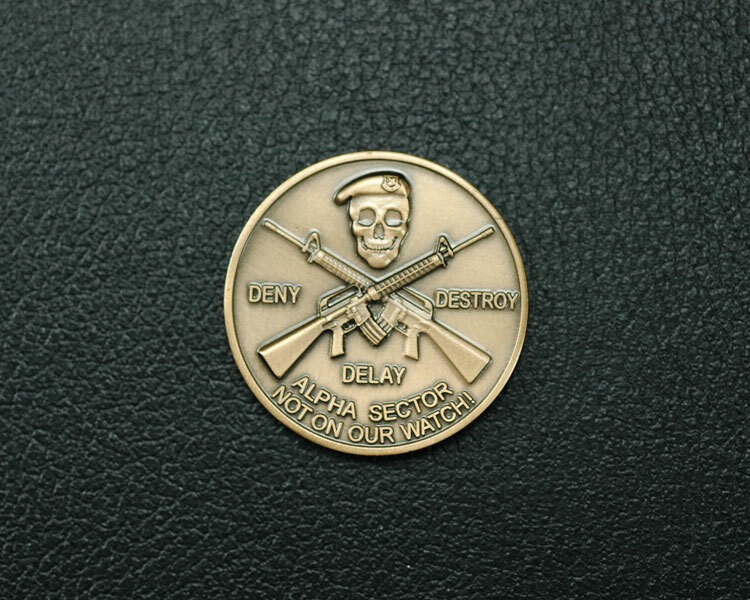 We are one of military challenge coin direct factories and we proudly produce different kinds of military challenge coin. We had been produce 350,000 pcs of military challenge coin within 10 days for USA troop to give away. As a professional pins and coins manufacturer, we strive to manufacture best quality, design and services for military challenge coin products. Products including challenge coin, challenge coins, police coin, military challenge coin, air force challenge coin, custom challenge coin, unit challeng coin and business challenge coin. The military challenge coin is a tradition followed since World War I when an American soldier saved his own life by carring a challenge coin during the war. Today, the challenge coin is not just for the military but also for everyone. Organizations like police, fire departments, schools, retirements, weddings, colleges, fraternities and clubs could have specially designed challenge coin. The military challenge coin is a coin or medallion carried by the members of the military. Ususally an organization's insignia or emblem is on the military challenge coin. The military challenge coin can be made of different materials including bronze, copper and pewter. 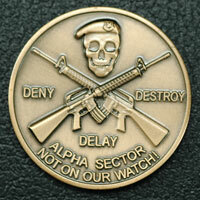 We also do customized sizes military challenge coin by customer's instruction. We do different effect on the military challenge coin like neon military challenge coin, light on the dark military challenge coin, glitter and 3rd side polished. We produce challenge coin 1, 2" (51mm); challenge coin 2, 1 3/4" (44mm) and challenge coin 3, 1 9/16" (40mm). We guarentee to polish 3 sides of the military challenge coin and to produce military challenge coin with 3D high relive air plant, ship logo, air craft or ground commenter. Our military challenge coin include: coin engraving, highest 3D military coins, silk screen printing and specail edges military coins. We are the expert of diamond cutting, paten edges cutting, inside area cutting with epoxy or effect shown as glory and different kinds of technical die making in aviation logo show. Please let us know your request for a specially manufactuered military challenge coin.